Aussie Enviro is committed to providing a safe and healthy work environment for all persons involved in or affected by its operations. Aussie Enviro recognises the responsibilities and requirements placed upon it by work health and safety legislation and customer expectations, and complies with all applicable laws and requirements. Not only is Aussie Enviro committed to ensuring that all legislative and other requirements are met, we are also committed to maintaining a position of excellence through a systematic and preventative approach in handling workplace issues and attainment of company performance targets. 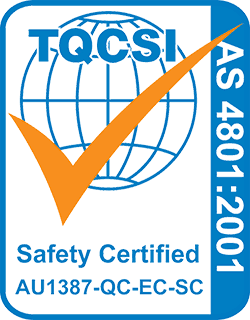 As such Aussie Enviro has implemented a third party certified OHS management system (AS/NZS4801). We will continue review and improve our certified health and safety management system and ensure the responsibilities for ensuring safe work practices is communicated to all workers throughout the organisation. Staff are encouraged to actively participate in and follow all procedures outlined in the safety management system. Implement and maintain a framework that ensures the systematic management of health and safety throughout the workplace including offices, sites and activities controlled by Aussie Enviro.